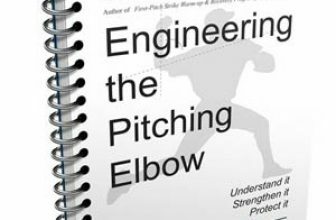 Whenever I start working with a young pitcher – the first thing I ask is “what pitches do you throw?”. Invariably, — be he a 12-year-old Little Leaguer or a 22-year-old college hurler — the pitcher claims to throw at least three or four pitches in addition to “a fastball”. Without going any further, let’s clear up a few issues. Just because you think you know how to throw a particular pitch, does not mean it should be part of your repertoire. Too often a pitcher tells me he throws a curve, a changeup, a splitfinger, a knuckle-curve, a sidearm curve, and a cutter, yet when that pitcher gets on a mound, he can’t throw any of these “pitches” for consistent strikes. If you’re not throwing a pitch for strikes at least 75-80% of the time in practice, then don’t bring it into the game. Furthermore, no one who calls himself a pitcher should throw only one fastball. Unless you are a knuckleball pitcher, your fastballs are your most important weapons, and you should establish at least two or three in your repertoire. First, of course, is the straight fastball, also known as the “four-seam” fastball or “four-seamer”. It’s thrown by loosely gripping the ball across the widest seams and releasing with a straight snap down of the wrist. This is the fastball you throw most often in practice, as you use it to get your mechanics in order. If your grip and release are correct, and your mechanics are good, you should be able to throw this pitch for strikes with your eyes closed — literally. If you can’t, then there is likely a problem with your mechanics, and it will be easy to figure out the issue by isolating a few checkpoints in your motion (more on that in another post). A “down and in” or “down and away” can take anywhere from 5 minutes to half an hour to teach. However, it can take a few weeks of consistent practice to really learn. We’ll go over these fastballs in a future article; the point today is that you should learn at least one if not both of these fastballs before moving on to another pitch. Another fastball to consider learning — after you’ve commanded at least the four-seamer, a two-seamer, and a changeup — is a rising fastball. Pitchers who throw at good velocity for their level of play (50+ MPH at Little League, 75+MPH in high school, 85+MPH in college), will find it beneficial to throw a rising fastball after they learn a change-up. Essentially, it is a four-seamer, but thrown to a higher target. With practice, you can get it to appear to rise, and makes for a good 0-2 or 1-2 pitch to hitters that like to “climb the ladder”. Once you have established at least three fastballs in your repertoire, you can compete in a game at any level, at least for a few innings. Add a change-up to your arsenal of command, and you will have enough to dominate hitters most of the time. Understand that “establish” or “command”, means that you can locate a pitch where you want consistently — meaning at least 75% of the time. So again, for those looking to “add another pitch”, stop looking. Instead, evaluate what you’re currently throwing, and ask yourself these questions: “do I truly command these pitches? Can I spot a fastball where I want, anytime I want, with movement? Can I throw a four-seamer for a strike with my eyes closed?” After you’ve honestly answered “yes” to all three, then consider adding another pitch to your repertoire. Check back here in the coming weeks to learn how to throw various fastballs.